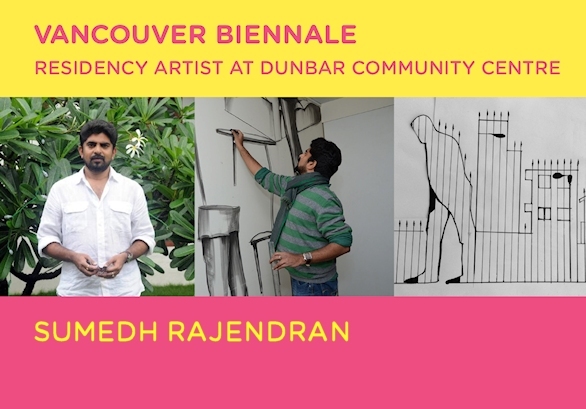 Come see the current Artist in Residence Sumedh Rajendran in his artist reception to talk to the artist about his Vancouver Biennale project, and learn about his artistic practice! Sumedh Rajendran’s works hint at the wider context of human experience while engaging with the possibilities of sculptural experimentation.Using common imagery, Rajendran aims to bring out the invisible by using these images, which we confront everyday. His Vancouver Biennale project will be exhibited at Dunbar Community Centre.